What’s Life Like for the Refugees in South Sudan? The church is a sacred place where people come not only to pray and worship, but also to meet with other believers. In these meetings people receive and give encouragement, support, and service to one another. In South Sudan, church grounds seem less like a place of worship and more like a sanctuary from the world beyond the campground borders. The country has been ravaged by civil war since 2013, with churches being transformed into safe havens for internally displaced persons (IDPs). Rimenze Catholic Church on the border of the Democratic Republic of Congo is one such example. It currently hosts over 7,000 IDPs on its premises – including pregnant women and young children. We recently had the chance to speak with Father Victor Babie, a parish priest at Rimenze Catholic Church. Here in his own words, he describes what he sees, feels, and hopes for these people. 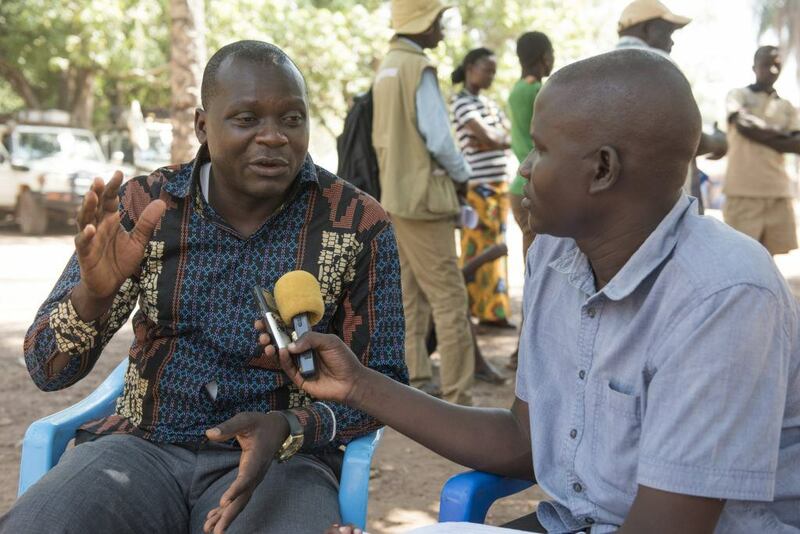 Father Victor speaks with Gale Julius about life for the IDPs and South Sudanese in general. “The people you see here came and found me here and I welcomed them. They started coming on December 31, 2016 and more came in January this year.” Father Victor Babie describes how he first started the camp at Rimenze Catholic Church out of necessity. After that attack, the government forces asked locals to leave nearby villages and congregate on the church grounds. Today, those people still remain in the church. 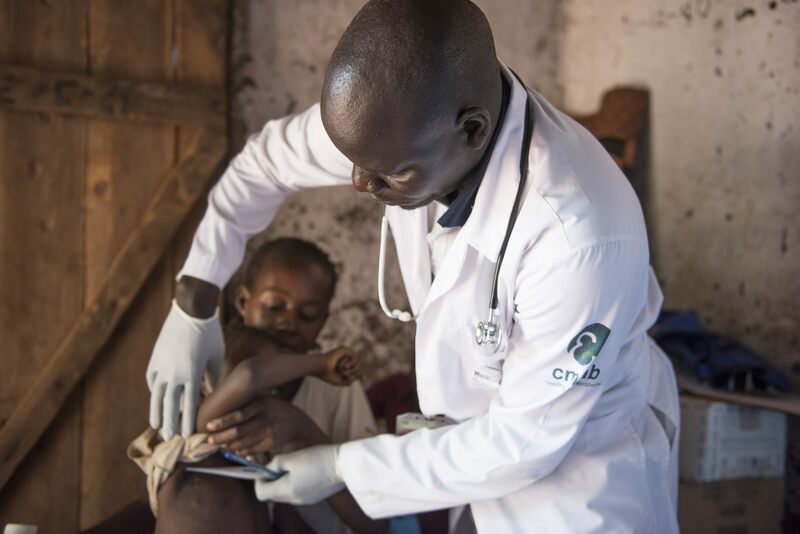 A CMMB doctor checks the temperature of an refugee child in Rimenze. 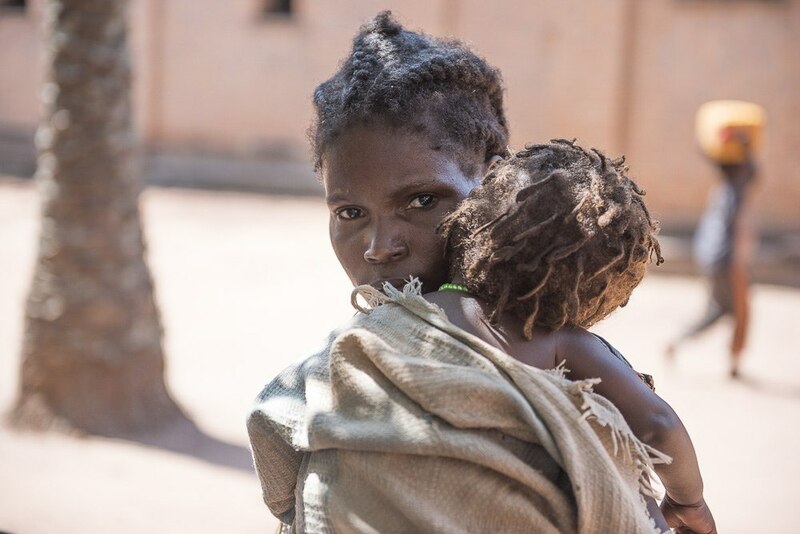 A mother and child displaced by war. Father Victor says the health program is critical to help prevent the spread of infection, to cure disease, and to treat the sick and wounded. CMMB recently announced the groundbreaking of a larger facility to accommodate the larger camp. However, the future in South Sudan – the world’s youngest country – is uncertain. Negotiations were planned between the South Sudanese government and local armed forces, but those have been cancelled. The church has many functions. A place of worship, a place to meet others and share beliefs and ideas, and a place of sanctuary. In South Sudan, for some, the church is the only option. 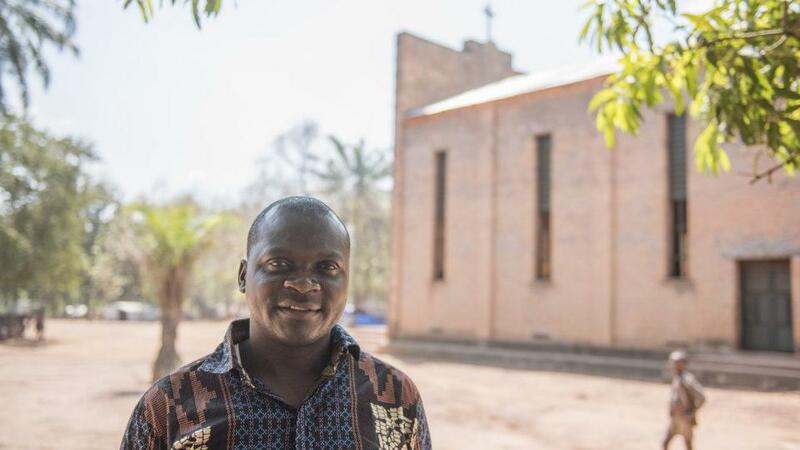 On April 23rd Crux published the article “As South Sudan war drags on, churches do their best to help displaced” featuring Father Victor Babie. Click here to read the full article on Crux. CMMB has worked in South Sudan since 2009 and continues to do so today.